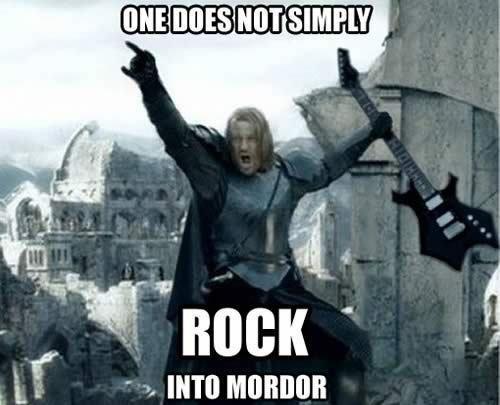 If Jar Jar was in play here, LotR would win in a landslide. i really like sci fi and fantasy and really neither of these franchises are that good to me. although I’m not huge on the Lotr films since I have always been a die-hard book fan I still think it’s better than star wars purely based on the story that’s told. I enjoy both about equally, but I think George Lucas is just a terrible human being. Voted LOTR. this is an easy question. LOTR hands down. LotR. Lucas is ******s. SW lack dialogue and decent plot development. Outside of Empire Strikes Back, the trilogy felt campy and shallow. While LotR is long and at times tedious, emotions and characters develop. There’s actually more than “hurr Death Star blow up, Emperor bad” in LotR and depth within the story. Outside of the Catina bar scene, the starwars universe did not come alive on screen as much as LotR. Won a bunch of awards too. Did Star Wars win a bunch of awards? And How Green Was My Valley is clearly a better film than Citizen Kane. I’ve never seen Star Wars (any of them), but I just got a Star Wars clue right in my crossword puzzle. I’ve never seen Star Wars (any of them). Stop what you are doing right now and go watch 4, 5, 6. No he should watch them from A Phantom Menace onward. I think he should start with 4, 5, 6, then watch 1, 2, 3, then watch 4, 5, 6 again to pick up the story details he missed the first time. Also, no bathroom/food/sleep breaks allowed.